Businesses utilize different economic and social principles to maximize their wealth and value. To this, they adhere to certain regulatory, economic, and social constraints. This is what finance is about. Firms acquire assets – machinery, equipment, and real estate – and invest in projects to earn profits. But it isn’t that simple. Companies make a number of important decisions. And so do people. Companies make decisions on a daily basis. To illustrate, assume that a company, Profits Ltd produces chairs and sells them to retailers and customers. To produce them, it orders raw materials from abroad, hires workers, and buys a factory, machinery, and equipment, which depreciate. Profits Ltd keeps its assets in the form of long-term securities and takes out a loan to pay for machinery and equipment. The revenues are used to pay salaries and taxes, buy raw materials, and repay the loan. Then the net income is either paid out to the shareholders or reinvested. While this sounds like a simple task, the company may issue bonds or stock rather than borrow from a bank. It can buy raw materials from a local supplier rather than from abroad. Profits Ltd may lease the machinery and equipment instead of buying it. Assets can be kept in bank deposits rather than in the form of securities. The company can pay dividends or reinvest the profits. This is a simple example, but it shows that the scope of corporate finance is quite broad. Corporate finance is one broad category. Personal finance deals with the ways people make financial decisions, take out loans and mortgages, save for retirement, invest to earn profits, pay taxes, and buy goods and services. While businesses employ accountants, lawyers, managers, and other professionals to keep the company running smoothly, ordinary people rely on their budgeting and money management skills. Which often fail them. One reason is that there are plenty of opportunities for impulse buying. People can spend their salaries without leaving their homes. Willpower depletion and poor self-control can party explain bad financial choices. Financial literacy plays a major role, but many people don’t have a good grasp of financial concepts. To illustrate, let’s assume that you have $200 in your savings account, which earns interest at 2 percent. How much would you earn in 5 years? Interestingly, 50 percent of Americans weren’t able to answer this question. And according to the National Foundation of Credit Counseling, 77 million or 1/3 of Americans fail to pay their bill on time. Financial literacy varies across gender. Women have better overall financial management knowledge while men know more about loans and insurance. Married people know more about personal finance than never-marrieds. And while there are differences, financial education should start at home. But it doesn’t. Some 93 percent of teens admit that they are not involved in developing the household budget, and they don’t pay bills. Yet, financial literacy is important because it has a huge impact on people’s future financial lifestyle. Money doesn’t buy happiness, you may say. But it doesn’t grow on trees and has been around for millennia. Basically, money is something of value. It has brought about changes in cultural and religious beliefs, lifestyle, economic life, and government. And money has reflected changes in power, lifestyle, and technology and science. According to anthropologists, money was invented to facilitate trade. Traders earn profits, but where do they keep their money? In bank accounts. Bank accounts are a major feature of our financial system. In fact, they were used a millennia before people began to use coins as means of payment. Gold, grain, and other commodities were stored in the Babylonian temples and palaces, and accounts were kept to document them. Merchant banks were created during the Middle Ages and operated to finance trade and grain production. Today, banks extend loans, accept deposits, and engage in activities that are not traditionally associated with banking. In times of financial arbitrage and housing speculation, however, financial institutions fail and people lose trust in the banking system. Troubled or “zombie” banks fail to meet their obligations. They are a risk for the economy because bank failure disrupts the basic functioning of the financial markets. The presence of troubled banks shows that the economic model is unsustainable. Failed banks are a major source of instability because their relationship with derivatives counterparties, secured creditors, equity investors, and clients changes. Perceptions of weakness result in huge cash outflows and reduce the chances of recovery in times of economic crises. The effects of bank failure may spill over the economy if financial institutions are unable to act as credit intermediators. A stable banking system, on the other hand, contributes to economic and financial stability. A safe and sound banking system means that capital resources are allocated efficiently. Financial institutions have an important role to play – they channel resources between borrowers and savers and facilitate trade and business transactions. Banks and other financial establishments operate to transform liquid assets to illiquid ones and extend funds to companies. What is more, banking provides risk-free income to ordinary people and helps channel savings into capital, which promotes welfare and employment. Business credit results in an increase in supply while consumer or retail credit results in an increase in demand. 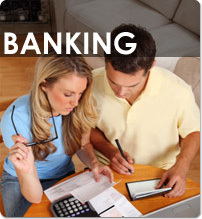 Banks offer a wide array of financial products, including mortgages, loans, and credit cards. But are people prudent borrowers and savvy plastic users? Let’s see. Credit cards facilitate spending, which is why they have become a ubiquitous financial instrument. Cardholders make payments at train stations, post offices, movie theatres, hotels, retail stores, and many other places. Yet, a credit card is a burden for some people while for others, it is a financial management tool. Many people are unable to avoid a high-debt lifestyle. 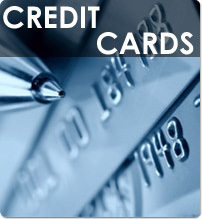 Prudent borrowers find credit cards beneficial because shopping is a breeze. Moreover, people have a love affair with rewards, discounts, and cashback. We love freebees of all sorts. Savvy plastic users get a piece of the pie by using free airmiles, store discounts, and gift certificates. But why do credit card companies offer perks and incentives to begin with? It is a good way to attract customers, but this is only part of the story. Cardholders tend to spend more money after they have been rewarded. If you get bonus airmiles, for instance, you will spend a lot of money on meals, hotel rooms, train and bus tickets, car rentals, souvenirs, and more. And this is where problems begin. Many people borrow excessively to earn bonus points and maintain balances on their credit cards. Which sends us back to the financial literacy problem. Many borrowers overspend in one area, which means that they have to under-spend in another. But they don’t. And these are often impulse buyers, on top of it. They are image- and status-concerned and find it difficult to control their fears and emotions. Purchases are seen as the road to happiness. Knowing the reasons why borrowers buy impulsively can help them to spend less. Comfort shoppers are urged to make rules and first sleep on whatever they want to buy. While being an impulse buyer can get you in trouble, how about using a credit card to invest? One idea is to link an investment account to a credit card. Some cards come with no caps and annual fees and offer rich rewards programs. The bonus points that cardholders earn are converted to cash and deposited in their investment accounts. Another option is to link a rewards card to a college savings or retirement plan. Nice isn’t it? But charging large purchases to a credit card to earn bonus points is not the way to go. Unless you belong to the Walton family. So, a loan, may be? Loans come in different varieties, including business and personal, boat, auto, and student loans, payday loans, and others. In many countries, the purchase of vehicles is installment-funded. Different models of car financing and funding exist, including operating and financial leases, hire purchases, conditional sales, and secured loans. Student loans, which many call student debt demons, cover the cost of tuition, room and board, and other student-related expenses. But after four years of intensive studies, the first day of the rest of your life begins. Statistics show that some 65 percent of U.S. students graduate with large amounts of debt. So, how are student and car loans, as well as other types of debt beneficial? And what makes a person a smart borrower? In fact, even “dumb debt” powers the economy, especially in times of economic recovery. Business loans also help “restart” the economy. This happens when financial institutions extend loans to businesses with good and authentic ideas. 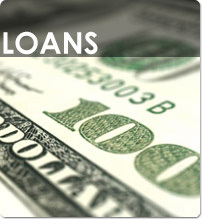 Lending stimulates economic growth, and economic growth drives lending. The U.S. economy is a good example. Economic growth has accelerated, lending standards have been eased, and banks now report a stronger demand for business loans. Given the low interest rate, individual borrowers continue to refinance their mortgage loans. Speaking of mortgages, there are different types – endowment, interest-only, repayment, and many others. A number of factors determine the availability of credit: funding sources, delinquency rates, capital levels, interest rates, consumer demand, and the state of the economy. Mortgages drive economic growth by converting savings deposits into spendable dollars. 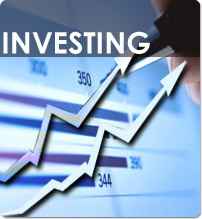 Consumers invest in the housing market while foreign investment in the economy also increases. More houses are built, which means that the consumption of raw materials such as wire, bricks, and lumber increases. Home builders earn more money and spend it on schooling, furniture, groceries, clothing, cars, etc. More money goes toward local, federal, and state taxes as well. But the housing market collapsed. And the term greedonomics was coined. Many people don’t know when enough is enough. Commercials also have a role to play – “No cash reserves, no problem”, “Poor credit, no problem”… which is where the problem started. The sub-prime mortgage crisis led to rising unemployment, the global financial crisis, bank failure, and the stock market crash. What happened? More homes were built, which means that there was a surplus. Financial institutions began to offer attractive terms – 100 percent financing and zero down payment. Prices fell, and many homes had negative equity. More and more people were unable to sell, make their monthly payments, or refinance. Poor decision making on the part of builders, bankers, and consumers fueled the financial crisis. And led to bankruptcies. Overextending on the part of individual borrowers and companies can have negative consequences. Companies that are looking to grow and expand run the risk of overextending themselves. This happens when they don’t have proper financing and good knowledge of the markets they operate in. For consumers, this means that they don’t know how much they owe. Many people use their savings to pay for groceries and daily expenses, are late on payments, and take new loans to pay excessive debt. Basically, you work overtime and still have money problems. Debt is known as a modern form of slavery. More and more people rely on credit, and 1 out of 7 U.S. consumers has over 10 credit cards. More than 40 percent of people in the U.S. have medical debt or excessive medical bills to pay. 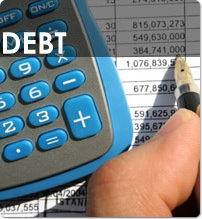 People with piling debt often file for bankruptcy, and millions of people seek protection in the bankruptcy courts. Many believe it is a financial rebirth after financial death. And it touches the lives of people, their children, families, colleagues, and employers. But how does it work? A trustee in bankruptcy assesses the borrower’s assets to determine whether some of them can be liquidated. Exempt assets include pensions, household appliances, clothing, and others. Non-profit organizations and businesses can also file for bankruptcy. Financial institutions can force businesses into bankruptcy as well. Partnerships and corporations can file under Chapter 11 or 7 while sole proprietorships – under Chapter 13, 11, or 7. When debt restructuring is not a feasible option, companies often file under Chapter 7. Their business assets are distributed among creditors, and the owners receive a discharge. An important question is how bankruptcy affects economic growth. An increase in the number of bankruptcy filings actually signals a weak economy. At the same time, financial institutions use the high number of filings as an excuse to increase annual fees and interest rates. Consumers and companies borrow less, which slows down economic growth. And bankruptcy is often a painful personal tragedy. Consumers have a more limited access to credit, especially in the form of secured loans. Around 55 percent of people who plan to buy a car find it difficult to obtain an auto loan. About 30 percent of families that apply for a home loan admit that they have a limited choice when it comes to funding options. As you can see, filing for bankruptcy is a personal tragedy with financial implications. The solution? May be bankruptcy insurance? There is no such thing, but let’s look at the options. There are different types of insurance policies that protect companies and individuals against financial loss. Employee and customer injury, product recall, and lawsuits are among the risks that companies face. These are causes of loss that can trigger bankruptcy, and they are insurable. Today, insurance policies offer protection against bad weather, foreign currency fluctuations, data breach, property damages, interest rates, and more. Insurance serves as a safety net for individuals and businesses. It is a form of a social device that helps reduce risk and offers protection to policyholders who suffer losses. The goal is to socialize responsibility and protect individuals and companies from economic and financial insecurity. Prolonged illness and life-altering events such as cancer, stroke, and heart attack have serious financial ramifications. They ruin the financial future of many families. At the same time, only 13 percent of workers opt for critical illness insurance while companies pass health-related costs to their workers. This is just one example. 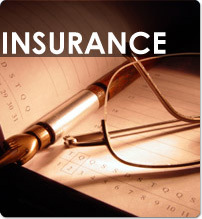 Other types of insurance include life, vehicle, health, travel, and income protection insurance. They offer protection in case of illness or occupation injury that affect human capital. Human capital refers to a pool of skills and abilities such as the ability to work systematically and follow rules and regulations, ability to develop policies, comprehend documents, work with customers, and so on. Prolonged illness and occupational injuries lower human capital while workers forgo wages. Policies such as disability insurance and worker’s compensation play an important role here. Life is full of uncertainties, and an insurance policy is both a safety net and a long-term investment. It allows individuals to meet their goals, including a relaxed life after retirement and children’s college education. Besides offering employer-provided insurance, companies also invest in preventing injuries and illnesses and maintaining a healthy workforce. This is one way in which companies increase productivity. Businesses also invest in training and education to improve employees’ skills and expertise. But this isn’t the whole picture. Businesses invest in different types of assets, including real estate, stocks, bonds, and cash equivalents. The main asset classes are tangible and intangible. Companies invest in assets to expand their operations and earn profits. Small businesses are one of the vehicles of economic growth. They invest in human capital, innovation, and new products. According to the State of Small Business, a Report of the President, small businesses employ 53 percent of workers and are responsible for 51 percent of the total output that companies generate. Generally, businesses contribute to economic growth by reallocating resources within the country or abroad so that they can increase in value. Resources can be reallocated to regions in which there is a high demand for them. 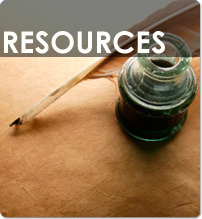 Businesses also aim to employ resources productively in order to generate more value. Thirdly, businesses contribute to economic growth by developing more productive techniques which increase the value of existing resources. Companies also operate to meet limited demands, and the higher the number of demands that are met, the wealthier an economy is. Small businesses operate in specialized or small markets. Large companies or corporations produce larger volumes and spread their overheads and costs across large sales volumes. They purchase raw materials in bulk, which allows them to offer lower prices. The law of demand states that consumers will purchase more goods when prices decrease. Economic growth is the result of buying more goods and services at a lower price. Finally, companies invest in producing innovative goods, which results in increases in per capita income. Disruptive innovation is a major vehicle of economic growth. Innovative products offer to clients more of what they are using already. Moreover, a wide array of products and services has been introduced thanks to innovation – from laptops and tablets to plastics. The invention of microcomputers has led to the creation of new information technologies that are used by an increasing number of consumers. The increasing demand for innovative technologies translates into profits, company growth, and job creation. Technologies improve productivity and efficiency and drive economic growth. Consumers benefit from new products, which are attractive because of their simplicity, convenience, and price. Ultimately, businesses that invest in technological development create products which are accessible and serve the middle class and low income communities. Thus the less affluent, experienced, and skilled members of society have access to products and services that increase their standard of living.